Being a caregiver means that your task list grows and grows, sometimes even taking on a life of its own. If you’re not able to get a grip on your task list, you might put yourself under too much stress. There are likely far more tasks than you realize that can be shared with friends and other family members. They might be really small ones, but those are still off of your to-do list when you delegate them. Start out slowly and small and you’ll gradually become better at asking the people in your life for help. Home care providers are a perfect option when you’re overwhelmed as a caregiver. They can take over for you so that you can take respite time. They can also handle a variety of tasks without the same learning curve that friends and family might experience when helping you. If you’ve been waiting until it’s the right time, you might want to reconsider. 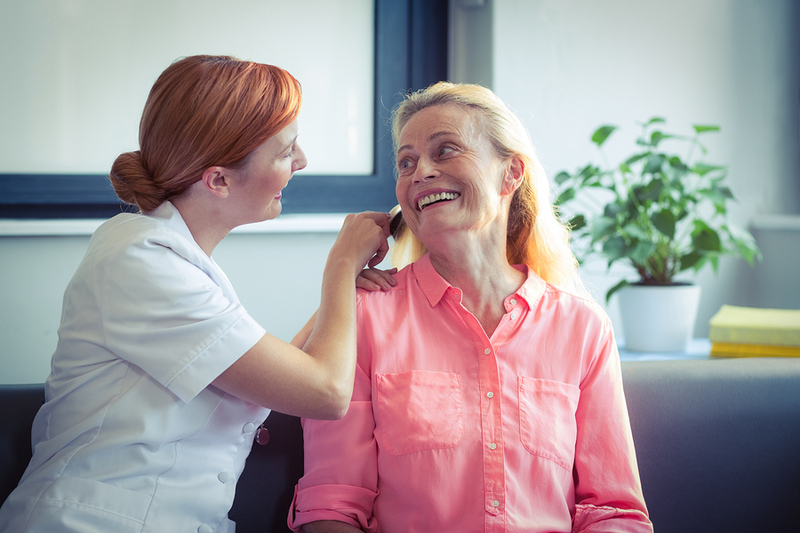 Some of the tasks that take up your time and your energy may be ones that you’re not comfortable asking friends or elder care providers to tackle for you. Or those tasks might be better handled by a person or a service that specializes in those tasks. Grocery delivery makes your life much easier, for instance, and you can hire a lawn care service that shows up on set days and times. When you’re dealing with a certain amount of information, you might be able to keep it all in your head or on scrap paper. But as a caregiver, your time is often spoken for weeks in advance. Using a calendar or a planner helps you to keep everything straight so that you’re not letting anything fall through the cracks. The key to making a planner work for you is to write everything down. That way you don’t have to actively remember it, you can refer to the planner instead. As you begin to create more space for yourself each day, it’s going to be easier for you to keep the tasks associated with caregiving in hand. You don’t have to spend every day feeling frazzled and overwhelmed to be a “real” caregiver. In fact, it’s much better for both you and your aging family member if you’re calm and happy. If you or an aging loved-one are considering Elder Care in Lake Forest, IL, call the caring staff at LifeCare Home Health & In-Home Services. Call (888) 606-4199 LifeCare serves all of the Chicago Metro Area.